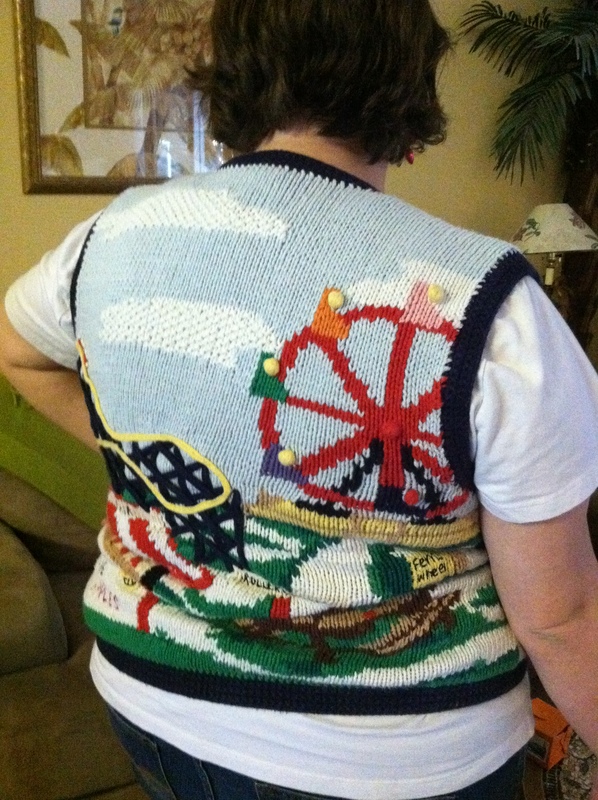 This entry was posted in Uncategorized and tagged sweater, thrift store by bizspouse. Bookmark the permalink. thank you for a good laugh. I am on WWonline and seen your link to your blog. My life is ever changing especially this year. I just had to know what this topic was about. Right now the family is watcing a movie and I just Laughed Out Loud!! The family stopped and just looked at me. Thanks for a good laugh to end a bad day! Thanks Tiffany for reading it. Now if I would spend more time looking for ugly sweaters and less time eating I’d be in better shape. Bless you.